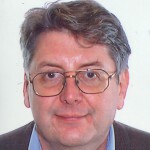 About the reviewer: John Wyver is a writer and producer with Illuminations (www.illuminationsmedia.co.uk/), Senior Research Fellow at the University of Westminster and Media Associate with the Royal Shakespeare Company. He is a historian of television with a particular interest in broadcasting, film and the arts, and he is currently Principal Investigator for the AHRC-funded research project Screen Plays (2011-15). His work as a producer and director has been honoured with a BAFTA, an International Emmy and a Peabody Award. He has produced a series of notable performance films for television, including Richard II (1997) with Fiona Shaw; Macbeth (2000), with Antony Sher and Harriet Walter; Hamlet (2008) with David Tennant; and Macbeth (2009) with Patrick Stewart. In 2013 he produced the RSC’s first live-to-cinema broadcast RSC Live from Stratford-upon-Avon, which brought Gregory Doran’s production of Richard II with David Tennant to more than 370 UK cinemas. Live Cinema and its Techniques is a short, accessible, vividly personal, defiantly oddball and fascinating book. Or rather, my sense is that it will be fascinating for colleagues, competitors and critics engaged in making and making sense of hybrid forms of theatre, cinema and television. Fascinating, perhaps, for others too, although pretty much everyone will also find it frustrating, since it raises key questions and offers only sketchy answers. That said, all those who revere Francis Ford Coppola as the auteur of The Godfather (1972), Apocalypse Now (1979) and One From The Heart (1982) will discover nuggets that illuminate the director’s past – and perhaps also, future – films. The first rehearsal of The Godfather, Coppola recalls, took place in a back room of a New York restaurant. Coppola arranged his cast, including Al Pacino, James Caan, John Cazale and Bobby Duvall around a dining table, with Marlon Brando at its head. Coppola’s sister Talia served a meal, and when it was over ‘that family existed for the first time, and those relationships learned during it remained throughout the difficulties of shooting the film.’ But this is only glancingly a book about Coppola’s career, since its focus is workshops the director led at Oklahoma City Community College, in 2015, and a year later at UCLA’s School of Theater, Film and Television. Close to one third of its 192 pages is taken up with journal notes and the credits of the outcomes of these two events. Those outcomes were experiments in ‘live cinema’ – scripted and pre-planned performances with actors and multiple digital cameras creating extended film sequences on the fly. Coppola interweaves his reflections on this process with discussions of others who have experimented with forms of live cinema. He is generous, for example, about Woody Harrelson’s recent project Lost in London (2017), which was shot continuously with a single camera and broadcast live to more than 500 cinemas in the United States and elsewhere. And he celebrates the work of directors like John Frankenheimer and Sidney Lumet who made live studio drama for network television in the 1950s. Producer Andrea Andermann’s astonishing live location-shot broadcasts of operas, including Tosca in Rome (2010), also get the nod, but Coppola chooses not to discuss recent live broadcasts of opera, such as the pioneering Metropolitan Opera Live in HD (from 2006), and theatre, like NT Live (from 2009) and RSC Live from Stratford-upon-Avon (from 2013). Nor does he seem aware of the work that theatre directors including Katie Mitchell and Ivo von Hove have been doing with the simultaneous and contiguous presentation of staged performance and live image sequences derived from that performance. 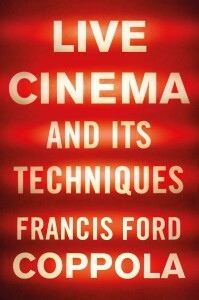 Coppola’s historical framing of live cinema is equally selective, with a mention for the all-but-forgotten post-war British experimental system Independent Frame (which facilitated the use during filming of pre-designed storyboarding) but no acknowledgement of the Electronovision system used to make a small number of movies in the 1960s and 1970s, including Richard Burton’s Hamlet from Broadway in 1964. He reveals that he wants to make one final, autobiographical epic, writing that, ‘I must tell and fictionalize this story about me, my family and television in a new art form that is the progeny of television, film and theatre: Live Cinema.’ Dark Elective Vision currently comprises two ‘cinema plays’ that the author admits are ‘very long’. This awaits only a budget, facilities and a distributor prepared ‘to beam it out to movie theaters around the world, making it available for home viewing as well.’ In these last words Live Cinema and its Techniques is revealed as an extended and passionate pitch for the director’s next and final work. And who could fail to be fascinated by that?